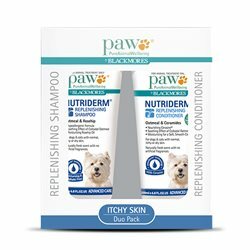 PAW Nutriderm® Replenishing Shampoo: Purified water, surfactants, glycerinn (vegetable), oat kernel flour, stearyl citrate, carrageenan and glucose, emollient, sorbitol, panthenol, sodium gluconate, sodium citrate, sodium hyaluronate, sodium hydroxymethyglycinate, rosa canina seed extrate. 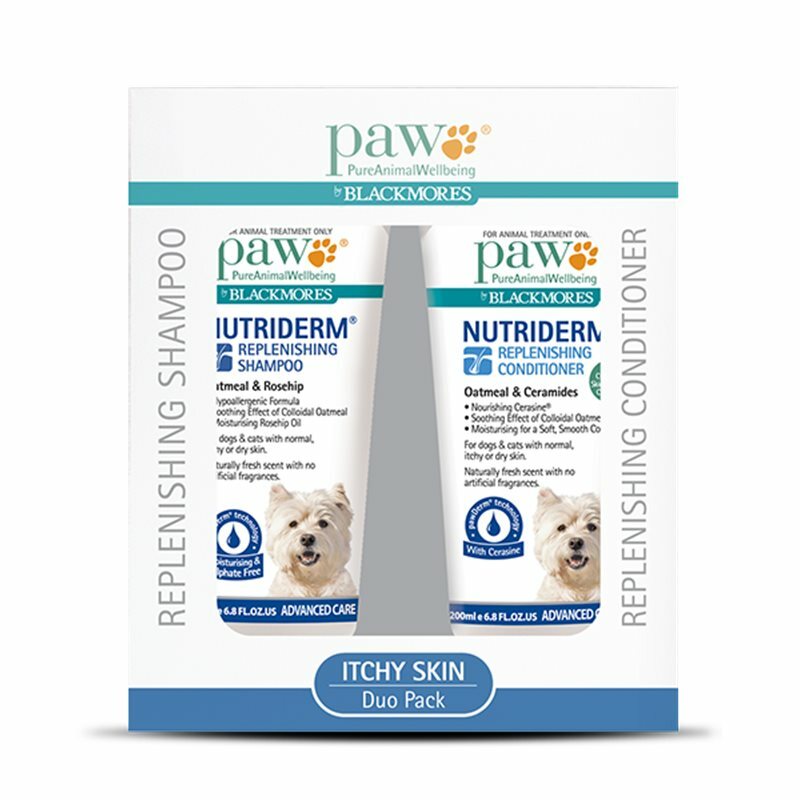 Each box contains 1x 200ml PAW Nutriderm®Replenishing Shampoo and 1x 200ml PAW Nutriderm® Replenishing conditioner. 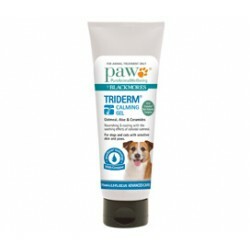 Since using these products together, our Labrador's skin has improved immensely. 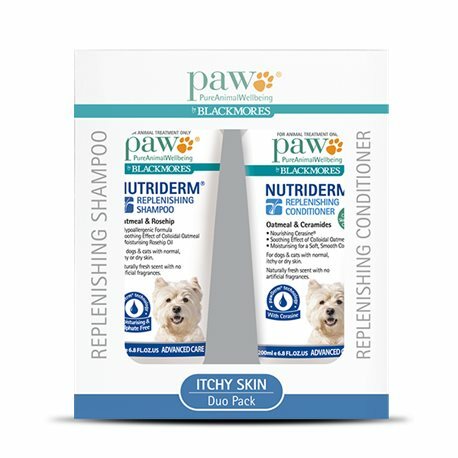 No more 'dandruff', scratching reduced greatly, and coat is shiny and soft. 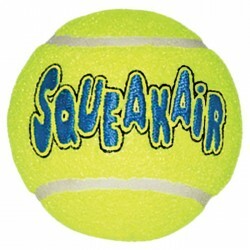 Recommend it highly for sensitive skin. Stronly recommanded. 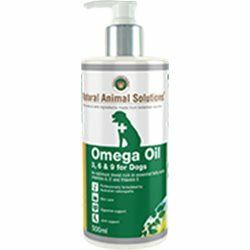 This one was suggested by my vet, because my golden reteriver is having the hot spot issues every summer, and vet said it is because her skin is too dry and is lacking of the barrier against the bacteria. if the skin is well rehydrated the risk of having the skin problem will be less. And it worked. I am so happy that ever since she is on that one, she has not had a big explosion of the skin problem this summer. really happy about that!